The ice storm that slammed central Canada has left hundreds of thousands of residents in Ontario, New Brunswick and Quebec without power, and for many, that means no access to a landline, the most secure connection we have to 911 emergency services. As this story — published by HuffPost Canada last month — illustrates, wireless 911 services aren't yet up to speed, and those who rely on their cellphones during emergencies should have a backup plan. An outage at Canada’s largest wireless provider that left nine million Canadians in the dark last month shone light on a troubling side of technological change. An increasing number of cellphone-only households are inadvertently limiting their options during one of the worst moments of their lives: the 911 call. The four-hour country-wide voice and text outage at Rogers Wireless meant users were suddenly incommunicado with friends, family and those we rely on most in times of need: emergency services. The company’s advice to use a landline in case of emergency was of little assurance for the one in five Canadian households that are now cellphone-only. Nine per cent of Canadian homes are estimated to have cut their phone lines this year alone and the number of wireless-only households is expected to grow to one-third by 2015. 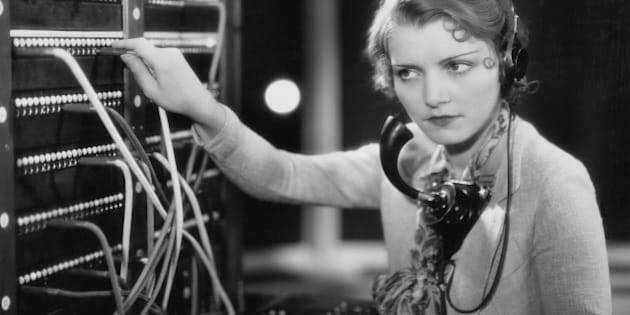 HuffPost Canada’s own informal survey of nearly 1,000 readers pegged the number of respondents who got rid of their landline at a whopping 50 per cent. Much has changed since Winnipeg became the first North American city with a three-digit emergency service in 1959. Seventy per cent of 911 calls are now made from wireless devices, yet the system still relies on technology built for landlines during the 1960s and 1970s. The smartphone era presents possibilities that could improve the safety of Canadians. But experts say 911 technologies are not equipped for existing 21st century telecommunications, including voice over Internet Protocol calling and mobile phones, let alone the next generation of advancements. The advent of the cellphone has overloaded 911 operations; some say stress on the system puts public safety at risk and upgrades are urgently needed. Events like the Rogers outage — and headlines about the tragedies that ensue when cell service fails during emergencies — have caused consumers and governments to ask about the reliability of emergency calls from wireless devices and the cost of settling for the status quo. “Consumers are the ones that are going to drive this,” said Ty Wooten, director of education and operational issues at the National Emergency Numbers Association, a lobby group for public safety professionals in Canada and the U.S.
“If they think it’s important, then the companies will put the resources into it,” he said. The day after Rogers customers bombarded social media with gripes about the outage, the Canadian Radio-television Telecommunications Commission (CRTC) asked for public feedback on a report ahead of this country’s first-ever 911 services review. The CRTC, which regulates 911 telecom services, is planning a massive overhaul of the outdated emergency call system to make it compatible with “next generation” 911 technologies, including text and video submissions. But former CRTC Commissioner Timothy Denton, who authored the report, said any review must first address a number of “shortcomings” with the current 911 system. He identified a number of critical issues that must be addressed: enhancing coordination and oversight, improving accuracy and quality and fixing regional disparities in the level of service and funding. Until such problems are dealt with, many experts say, the safest bet is to keep a phone wired to the wall. “What we realized as we did this work was that the underlying system, it’s maxed out, it’s at its limit. Technology-wise, it can’t do anything more than it’s doing today,” said Chris Kellett, chair of the CRTC Emergency Services Working Group. Cara Cooper, a 35-year-old mother of nine-year-old twins, is adamant about hanging on to her landline in case of emergency. The landline had long been a point of contention with her cellphone-only ex-husband. When they lived together in rural Ontario, about 10 minutes outside of Orillia, Cooper fretted about how her sons would locate or operate a locked smartphone in case of an emergency and insisted on installing a landline. Now divorced, Cooper still worries when her boys visit her ex — who sometimes cuts down trees with their help. What if a tree falls on their dad, pinning him? She imagines the nightmare of the boys unable to dial 911 to save him and carrying the guilt for the rest of their lives. She still pressures their father to install a landline, the device her children learned to call 911 from at school. “That was my biggest fear, that if an accident were to happen, they wouldn’t be able to get to 911 quickly enough in order to make any difference,” she said. Few Canadians share Cooper’s level of concern. A Red Cross report suggests many of us have a false sense of security about new technologies in case of emergencies. About one-third of Canadians believe fire, police or paramedics would respond to an emergency message posted on social media — a highly risky assumption. Such advancements could be part of the next generation of 911 services, as could text and social media alerts and capabilities allowing callers to provide cellphone images or videos of the scene, or suspects, or a photo of a missing child. Videos would also be useful for paramedics trying to help someone administer CPR, said Greg Furlong, of the Paramedic Association of Canada. Paramedics could send CPR how-to videos rather than try to explain it verbally, which could increase survival rates. But such upgrades require modernizing the current system of circuit-switched networks that can carry only voice and limited data, which will require investment from governments and telecommunications companies. “We don’t even know who’s going to put their hand up and say ‘we’ll put the national backbone in place that you need for next generation for 911 for data and voice,” said Kellett of the ESWG. The current system already struggles to keep up with the increased activity from cellphones and could break down if such multimedia transmissions were added, Furlong said. During the Boston Marathon bombing, available circuits were quickly clogged. Similar cramping occurs already during non-emergency situations when many people are placing calls at the same time such as on New Year’s Eve. Cellphones have made it easier for people to contact help after a car accident, but that too can overwhelm operators who receive multiple calls about one incident. Pocket dialling is another “huge, huge” issue, Furlong said. If operators cannot confirm it’s an accidental call, they must dispatch someone to the scene which uses scarce resources on a false alarm. Canada’s 911 system is a patchwork, with various levels of service that leave some areas with inadequate coverage on wireless and even wireline devices. While 98 per cent of Canadians have access to at least basic 911, some rural, remote and sparsely populated stretches stretches of the country are left in the dark. Sixty per cent of Newfoundland and Labrador have no 911 service at all. The province is moving to have basic coverage in all areas by 2014 with plans to later implement a more advanced system at a price tag of nearly $4 million. Most swaths — about 95 per cent — of the country have enhanced 911 service that can identify the approximate location of a caller through GPS tracking or triangulation, which locates a phone based on its distance from cell towers. But some parts of the country only have basic 911 service where the caller has to verbally provide their location. Upgrades to the system could enable better location tracking, a prospect that could save lives. The inability to locate cell callers has had fatal consequences, prompting the CRTC in 2009 to force wireless providers to upgrade to enhanced 911 services that makes callers locations clearer. Matt Armstrong, 18, froze to death in a wooded area of British Columbia in 2009. After losing his bearings overnight, he dialled 911, but dispatchers couldn’t determine his location. Sharmarke Warsame died outside Brooks, Alta., in 2008 after being beaten and left in a field. Police only found his body three days after he called 911. In another case, Garth Pratt drove off a Saskatchewan rural road in a snowstorm and his van overturned. He called 911 on his cell but emergency crews took three hours to locate him. When they found him, he was suffering from hypothermia. Even in the best-served areas of the country, emergency service crews can have trouble locating a cellphone caller in distress. Dispatchers see longitude and latitude coordinates but the accuracy depends on how many towers a caller is close to. If someone is calling from a multi-storey building, the cell signal will not show which floor they are calling from. “The public perception is that we always know where you are when you’re on a cellphone, which isn’t always the case,” Furlong said. GPS doesn’t work nearly as well when callers are inside and not in the direct path of a satellite, so operators often advise callers to go outside for the best location accuracy. In many cases, operators cannot track a moving cellphone, only trace a call to its original location. And location tracking only works with voice calls, not texts. Handsets may be equipped with advanced location technology, but that means little if the infrastructure is not upgraded, Wooten said. Carriers are looking for a more uniform system in terms of oversight and funding, said Marc Choma from the Canadian Wireless Telecommunications Association. There is also some debate over who should pay 911 fees and for upgrades to the system: Users, wireless companies or government? The 911 funding model for landlines is systematic — customers pay a fee of about 50 cents a month on their bills and the money is turned over to the governments, but there is no clear model for wireless customers. Rogers customers pay 75 cents per month, whereas fees are included in Bell customers’ monthly plans. Some provinces charge additional fees. Others, such as B.C. and Alberta, are looking at a 911 user fee for wireless. Still, while cellphones currently pose a challenge to an outdated system in desperate need of overhaul, they are also going to open doors that were never possible before, Furlong said.